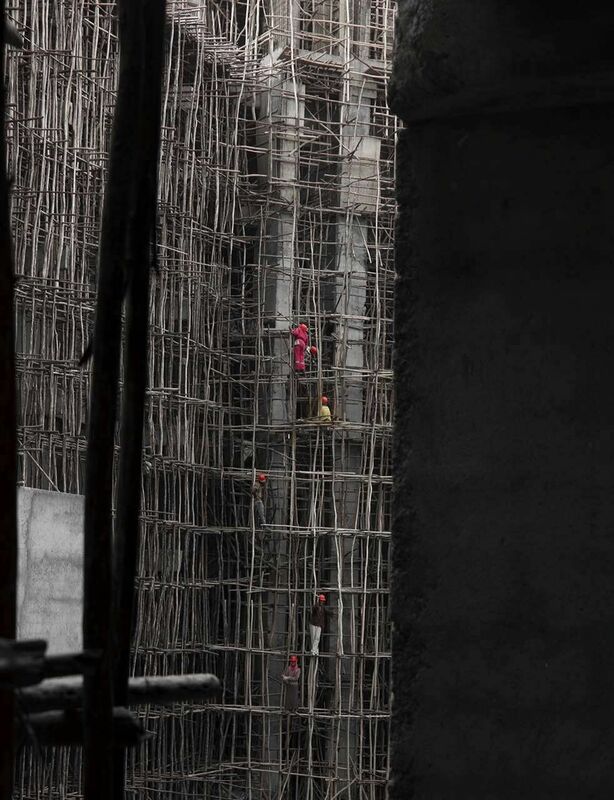 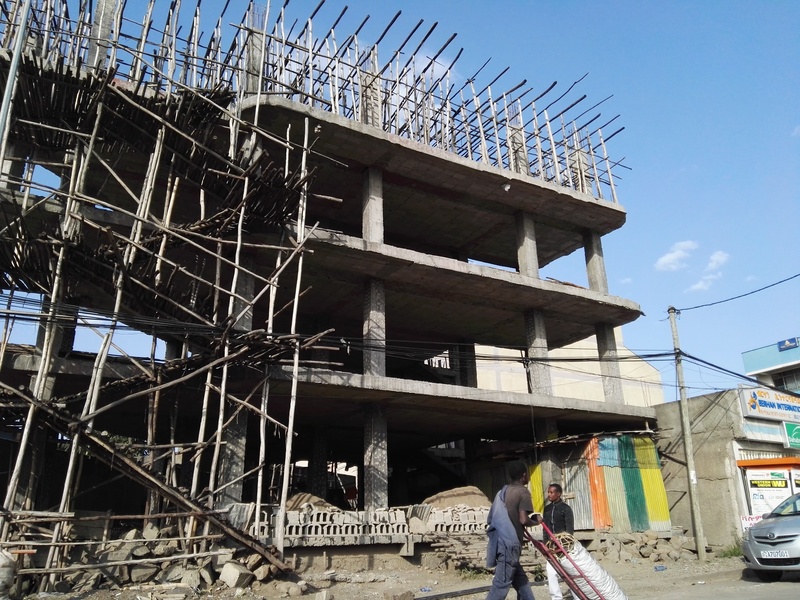 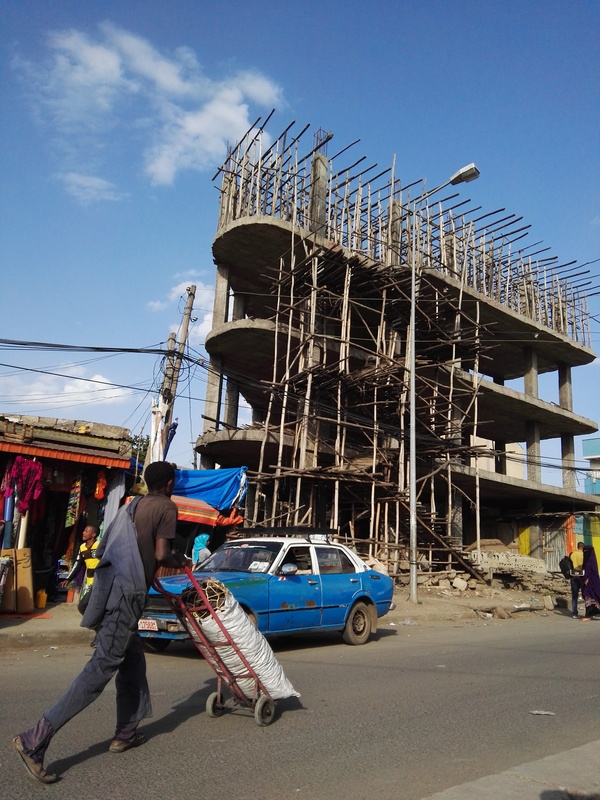 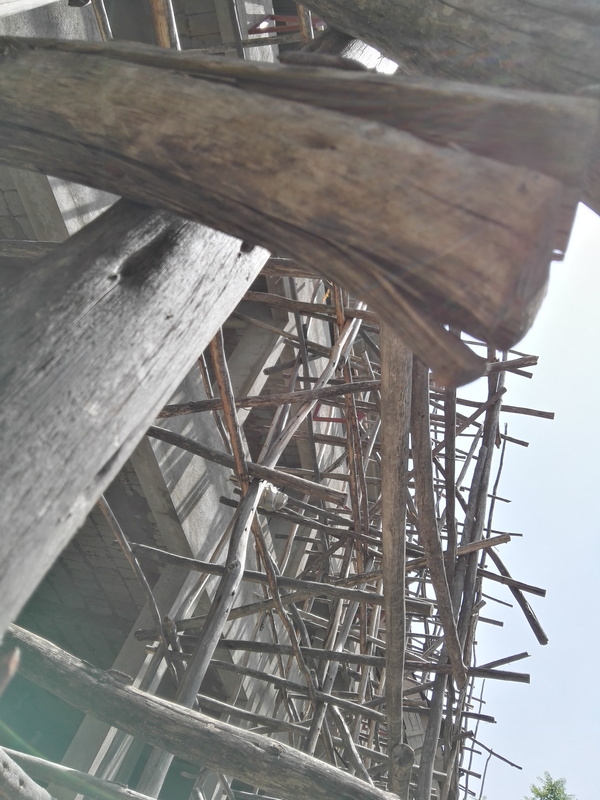 Using the natural growth of eucalyptus wood, put into construction scaffolding, interesting view, strange beauty. 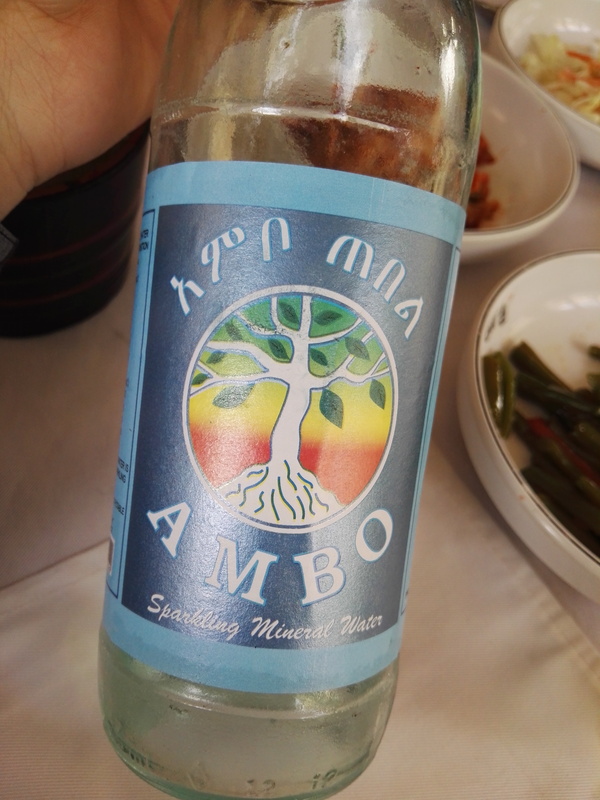 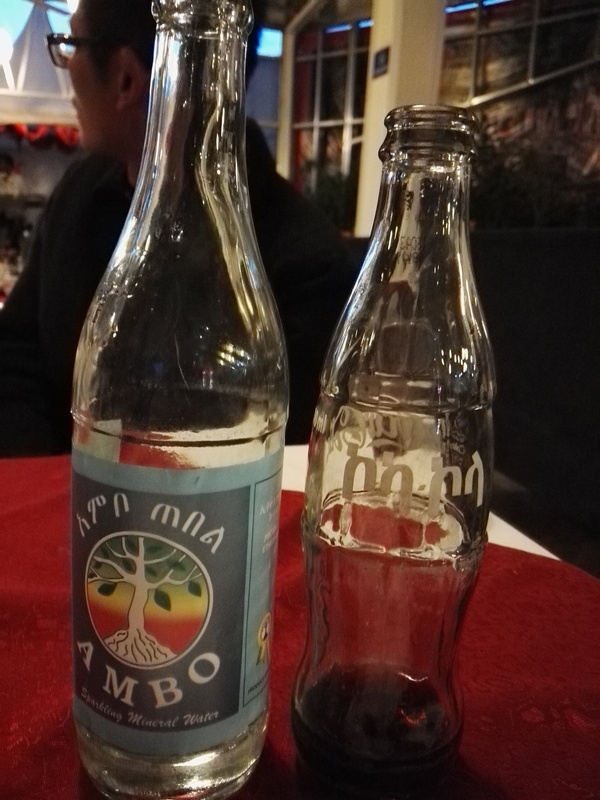 AMBO soda water + Coca Cola, the most common beverage. 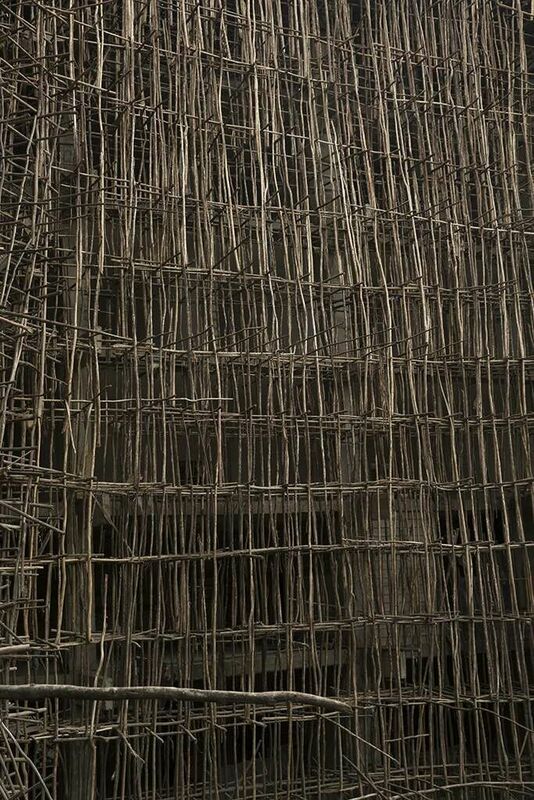 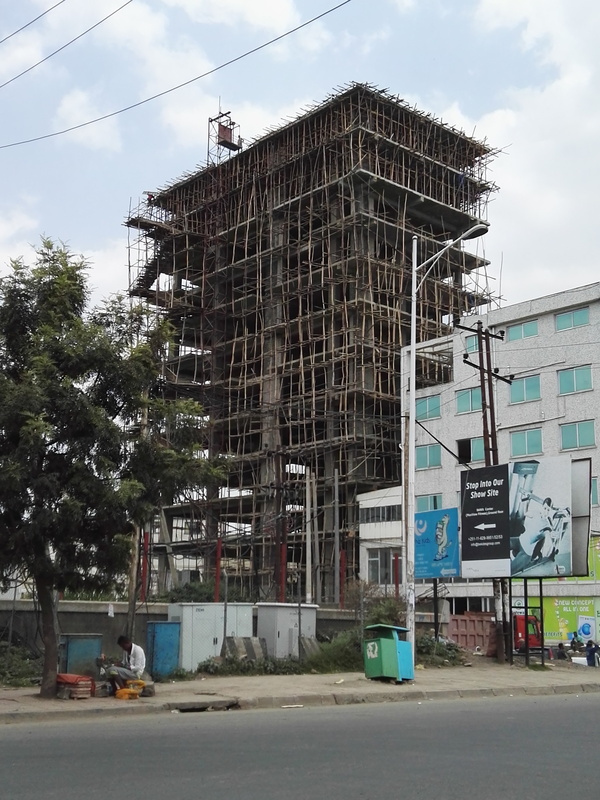 Even high-rise building is insparable from the eucalyptus wood.